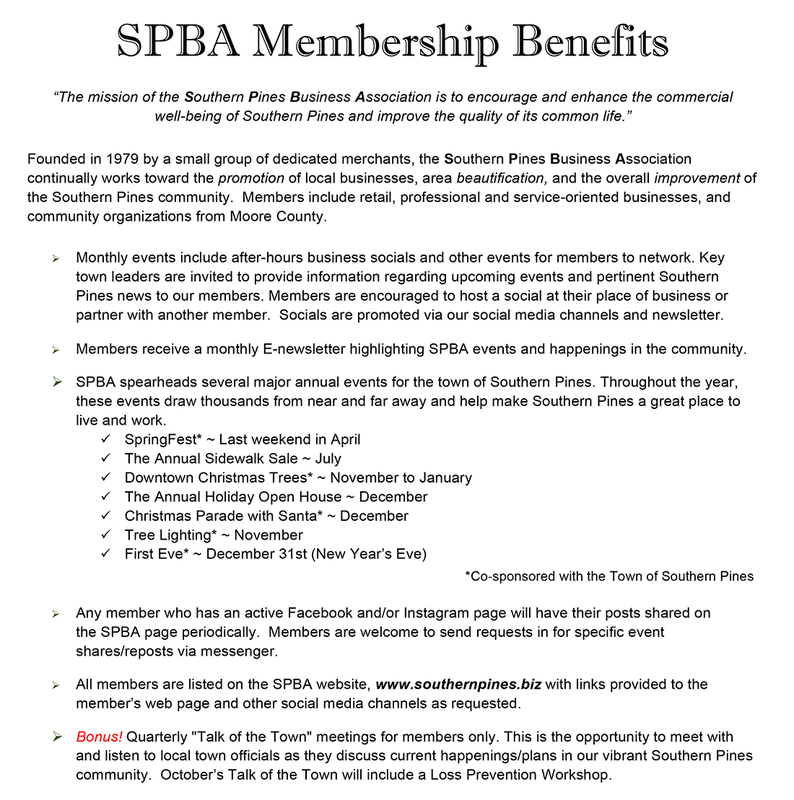 Founded in 1979 by a small group of dedicated merchants, the Southern Pines Business Association continually works towards the promotion, beautification and overall improvement of the Southern Pines community. It is the mission of the Southern Pines Business Association is to encourage and enhance the commercial well-being of Southern Pines and improve the quality of its common life. To perform other services, such as community events, that are mutually beneficial to the Association and the community.